It is said that during the Time of Many Wolves, European Rabbits would gather outside the warren and howl together in an effort to scare the wolves away. Oftentimes they would howl into hollow fallen trees because the reverberation intensified the effect and made them sound more intimidating. Did this really happen and do they continue to howl today? There is no verifiably authentic footage of wild Rabbits howling at the moon, and humans with "pet" Bunnies have not been able to verify this either. 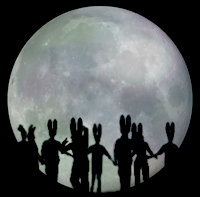 A few have reported strange noises in the wee hours of Full Moon mornings, but were not awake enough to know if it was indeed their Bunny howling or a sound from outdoors. A few videos purported to be taken many years ago in England have made their way around the web, but are obviously fake. 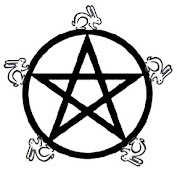 One thing is certain, though: If Bunnies do still howl at the Full Moon, they do so in utter secrecy, indicating the practice may have evolved into a tightly-guarded religious ceremony. You may wonder, if there are no documented accounts of Full Moon Howlings, how the story began at all. Researchers have traced the tales to humans who lived part time with the wild Rabbits near Avignon, France in the late 1500's. 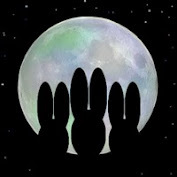 The act of putting on Bunny ear hats and masks and howling at the moon began at that time among Cosmic Bunny worshippers. They described it as an act of communion with their Bunny brethren and a exciting celebration of life.This was quite dangerous for humans at the time, as being caught would have surely meant death as a heretic by the Inquisition! "Forbidden" things are often wrapped in a veil of mystery and allure and perhaps this is why the practice was never entirely erradicated by anti-Bunny forces. "It's really fun to put on Bunny ears and howl outside at night. People wonder what the heck you're doing, if you're crazy or drunk or what. 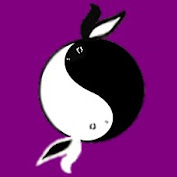 Once you explain it, though, they usually think it's pretty cool and want to join up!" "I just like going outside at night. I rarely ever do, you know, so it's cool to have almost like an 'excuse' to see the stars and the moon and hang in the dark for a change." 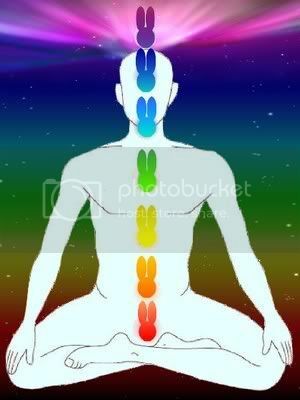 "It makes me feel ALIVE! AhoOoOoOOoo!" So, whatever your reason, go ahead and enjoy, everyone! 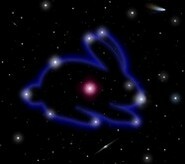 plan b rabbits: Hehehe =;-) I knew it!